Truitt Family Foods founder Peter Truitt was a wide-eyed twenty-something when he first spied the 100-year-old cannery on the Willamette River in Salem, OR. In the 40 years since he bought it, he’s shaped it into a modern facility that takes local, natural ingredients and turns them into high-quality products. Learn more about Truitt Family Foods on their website. 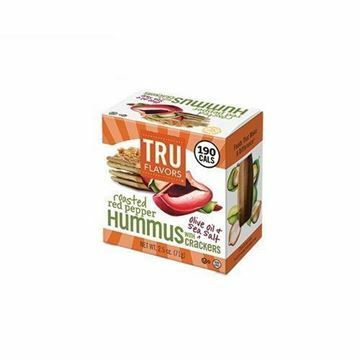 Tru Flavors Roasted Red Pepper Hummus & Crackers - 2.5 oz. Snack better on-the-go with this irresistibly smooth and smoky hummus.